Welcome home to the Catholic Church! We are so excited you are interested in beginning the beautiful journey of life as a Catholic. RCIA and RCIC are for those who have not been baptized. If you are an adult Catholic who has been baptized and would like to receive the sacrament of Confirmation and/or First Eucharist, please click here for information on our adult sacrament preparation. See below for more detailed information on this process and how to sign up! RCIA is the process through which individuals become Catholic. It includes a thorough education on the teachings of the Church, involves an integration into the community of faith, and culminates with the sacraments of initiation: Baptism, Confirmation, and Eucharist. It constitutes the beginning steps of a lifelong relationship with the Church. Every year on Holy Saturday during the Easter Vigil, Nativity—along with the universal Church—welcomes new Catholics through the sacraments of Baptism, Confirmation, and First Eucharist. Individuals seeking to become Catholic prepare for this night by participating in our RCIA program. On Easter Sunday, those members of our community who are already baptized in the name of the Father, Son, and Holy Spirit, but who have not yet become Catholic are “fully initiated” into the Church through Confirmation and First Eucharist. 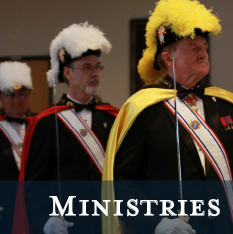 These individuals also take part in our RCIA program in preparation for their full initiation. Our RCIA program is a great way to explore the faith and begin the lifelong journey of life in the Church. Though the process strongly emphasizes the importance of community, we recognize that everyone’s journey is unique and driven by different experiences and questions. Because of this, we are more than willing to work with you on an individual basis, taking into consideration your personal questions, challenges, and growth. The RCIA process includes weekly classes and small group sessions that typically take place on Tuesdays from September to May at 6:30-8:00pm. During these classes, RCIA members learn about the Church, its teachings, and the application of the faith to our lives. They also engage in fellowship with one another and experience integration into the larger community. During the classes, RCIA members are expected to complete a certain amount of reading and outside preparation, and they are taken through the process of selecting a sponsor. Those in RCIA select a sponsor to walk with them through the process of becoming Catholic and support them after they are received into the Church. Unbaptized adults going through RCIA choose one sponsor—also know as a Godparent—who accompanies them through the rites leading up to and including Baptism and Confirmation. An individual seeking to become Catholic is required to have a conversation with a priest or deacon regarding his or her desire to enter the Church. This is typically scheduled about one month into the RCIA process. The steps of RCIA include a number of liturgical moments, during which those seeking to become Catholic are presented to the community, accepted as “catechumens,” and called to “election.” For detailed information on these steps, click here. The sacraments of initiation are Baptism, Confirmation, and Eucharist. Our RCIA program prepares individuals for the reception of these sacraments as well as the sacrament of Penance. Those already Baptized as Christians can still participate in RCIA in order to become “fully initiated” into the faith through receiving Confirmation and First Eucharist. 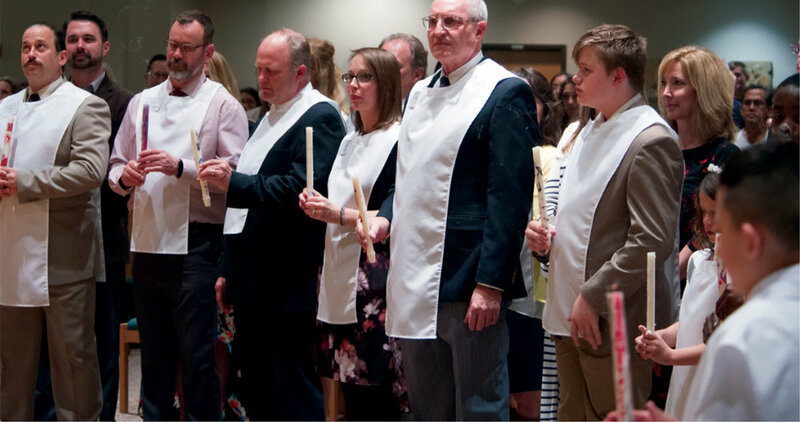 Like the Rite of Christian Initiation for Adults, RCIC is the preparation process for being fully received into the Church during Easter. RCIC, however, is for children ages 7-16. Nativity’s RCIC program consists of the same elements as RCIA, including weekly classes geared toward a younger audience, an interview, scrutinies, and the sacraments of initiation: Baptism, Confirmation, and Eucharist (see above for details). Children going through the RCIC process must be accompanied by a parent who is Catholic or who is going through RCIA.